Shot down 25 July 1944, while Lt. Richard E. Freeman was piloting. Crashed at St. Peter i.d. Austria. See Losses. 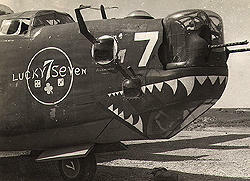 J.R. Baker's aircraft. 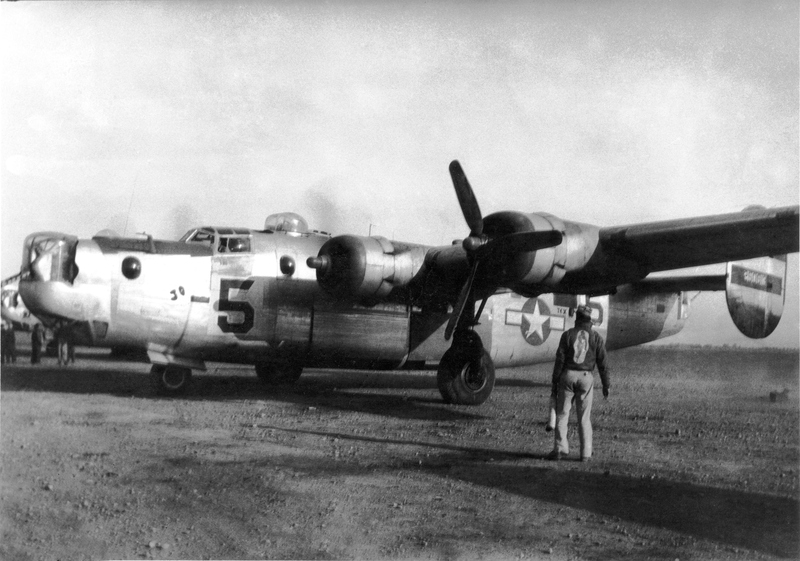 It is believed that this aircraft was eventually enlisted as a Squadron "hack" and was the transport that crashed at Torretta returning from Naples on 23 December 1944 flown by Gerald Vanderhoeven. See Losses. 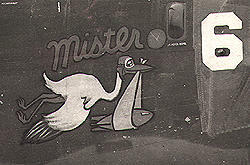 During conversion to squadron hack for cargo carrying. 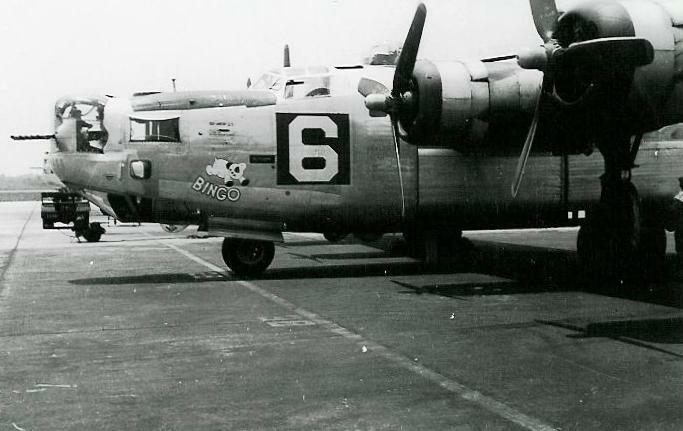 Originally flown by the James O. Bean crew, this airframe eventually had all turrets removed for use as a squadron "hack". This is the aircraft on the right in the above photo taken at Lyon, France when the aircraft on the left suddenly caught fire. 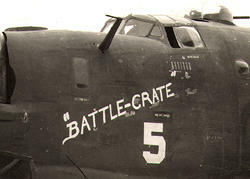 The serial number on the tail of the aircraft on the right appears to be 440856 rather than 440896, but that appears to be in error. 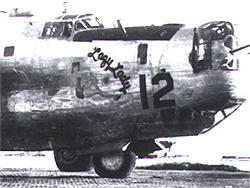 This aircraft was eventually lost on 4 October 1944 with Lt. Herrin and Maj. Tallant at the controls. Crashed due to mechanical failure 3 July 1944 near Trebjne with Lt. Mac L. Lucas in command. See Losses. 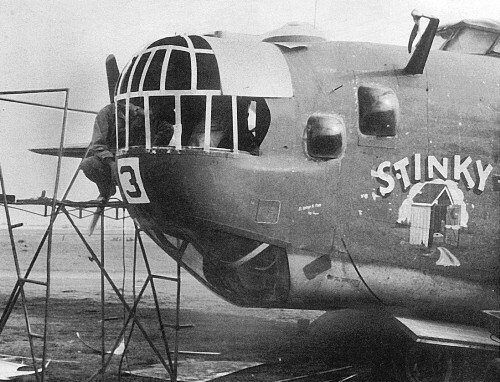 Named in honor of the pilot's wife. 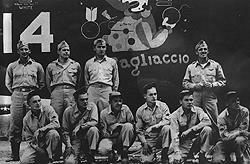 He was notified just before leaving for Italy. 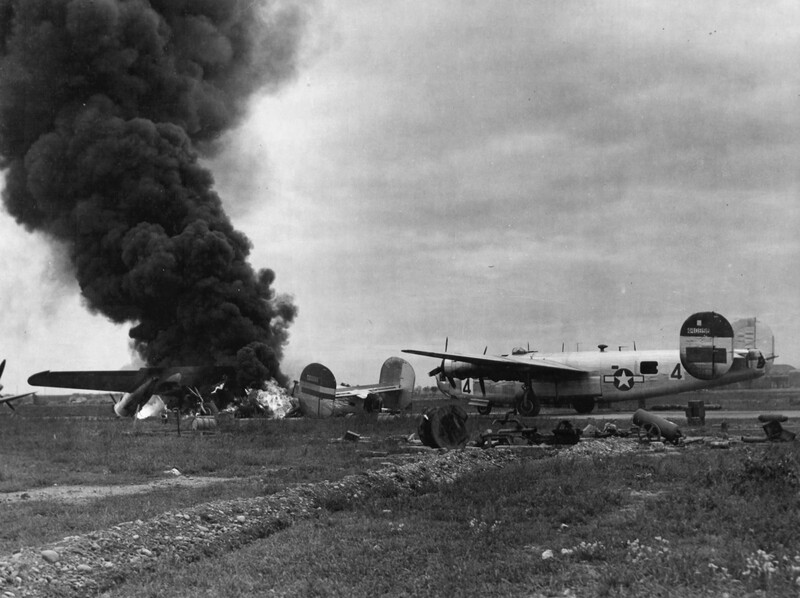 Crashed due to flak damage 22 July 1944 near Alexandria with Lt. Clarence W. Bloxom in command. See Losses. 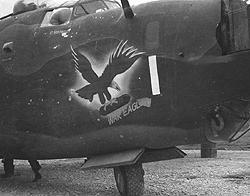 Transferred to the 456th Bomb Group on 31 January 1945. 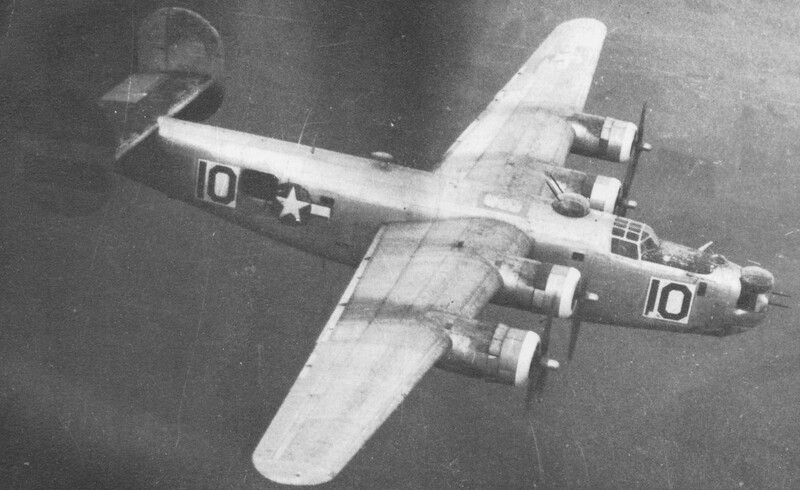 The last B-24H-10-CF built, it was originally flown by the Robert Hefling crew. 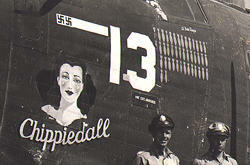 Lt. Hefling was forced to bail out of the stricken "Chippiedall" over Yugoslavia on 11 June 1944. 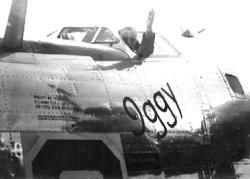 Lazy Lady was lost on the mission to Linz, Austria on 25 July 1944 with Grover F. Mitchell in command. See Losses. 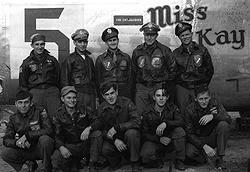 Lost to enemy fighters near Raska 11 June 1944. See Losses. See also "Ode to Chippiedall" in the LIBERAIDER section. "Nov shmoz ka pop?" is from a cartoon header feature by Gene Ahern called "The Squirrel Cage," which debuted on 21 June 1936, and ran through 1960. 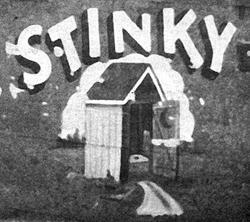 It appeared as the header or topper for the main Sunday feature, a cartoon called "Room and Board," which Ahern began drawing in 1936, and it featured the character Judge Homer Augustus Puffle (not unlike Ahern's star of his other popular strip, "Our Boarding House," Major Hoople). The phrase was associated with a character known as the Little Hitchhiker who had an oversized white beard, wore a black coat and an oversized tam o'shanter. He would start at a crossroads, muttering incomprehensible phrases and trying to thumb a ride, and regardless of his travels, he always ended up in the same place he started. 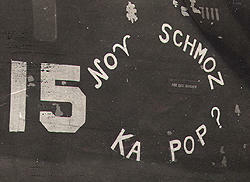 Ahern translated a few of the Hitchhiker's phrases, but he died in 1960 without ever revealing what "Nov shmoz ka pop?" meant. The Little Hitchhiker acquired a cult following and cartoonist Robert Crumb acknowledges that his character, Mr. Natural, was inspired by the Little Hitchhiker." 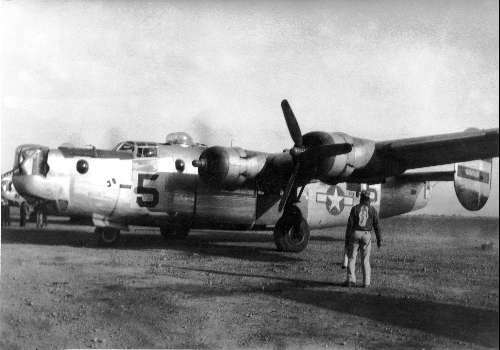 Crash landed at Torretta 25 July 1944 returning damaged after mission to Linz, Austria. See Losses. 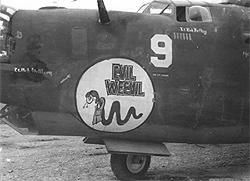 Hit by bombs and crashed at Mining 10/4/44 with Lt. William Powell in command. See Losses. 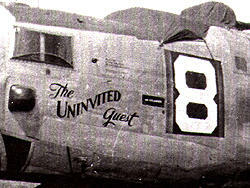 This is the aircraft that Col. Glantzberg flew as he left the 461st BG after his tenure as Group C.O. 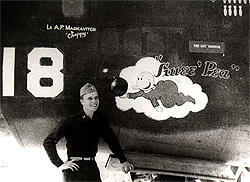 He is seen here waving farewell before his departure. E-Mail me if you would like to add more to this story. 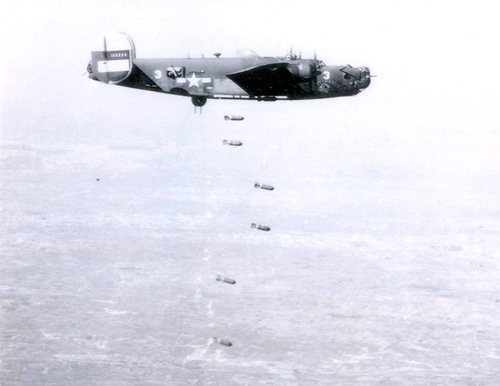 Lost over Linz Austria 25 April 1945 -- L.R. 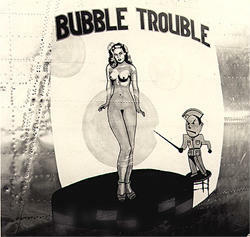 Toothman, Pilot. 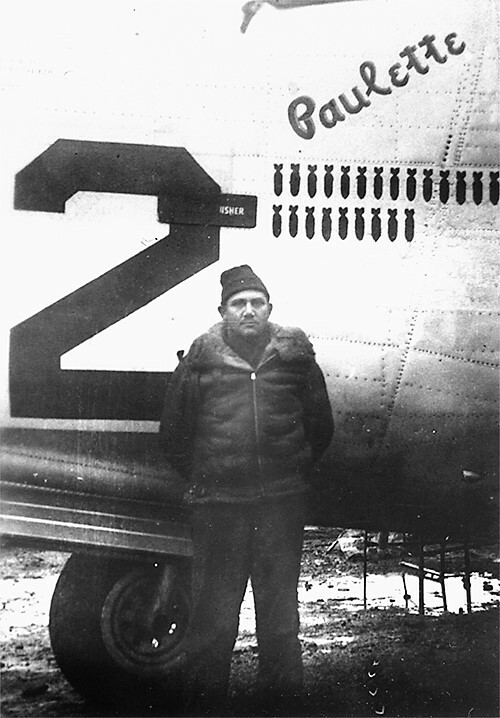 All but co-pilot Bill Jones, who was killed by the 88mm shell burst that disabled the aircraft, bailed out successfully. 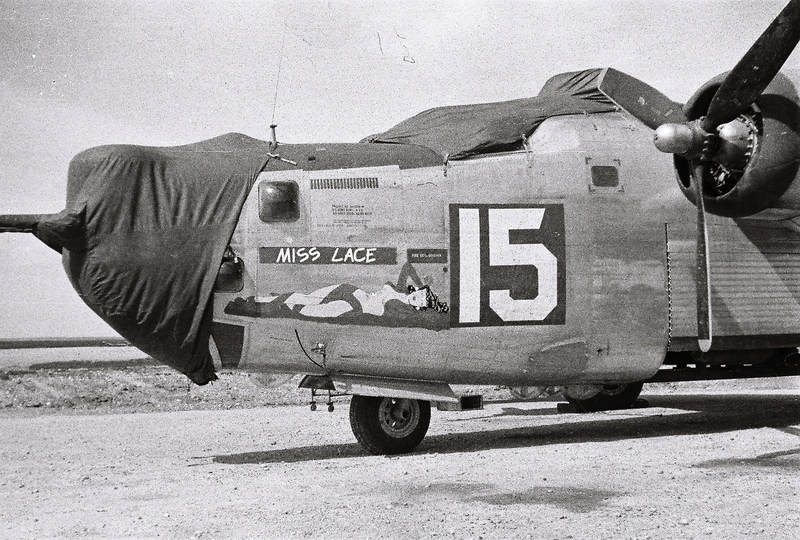 Miss Lace was the last combat loss of the 461st Bomb Group. See Losses. 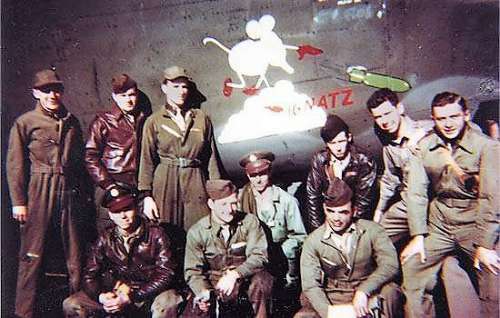 Transferred to 451st 11-21-44 and returned to ZI with that group. 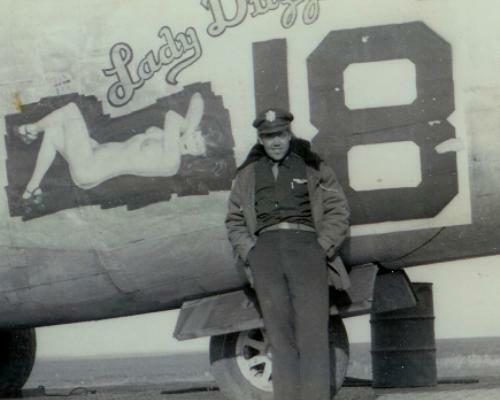 Lester Brown (pictured here with the Lady Duzz) flew as command pilot of this aircraft until it lost two engines on a mission to Munich, Germany on 4 Oct 1944. 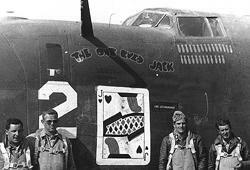 Gary Ferrell from the 34th BG Association contacted me to say he had a picture of "Holy Joe". 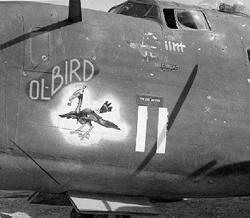 I've added the nose art of this aircraft to our files. 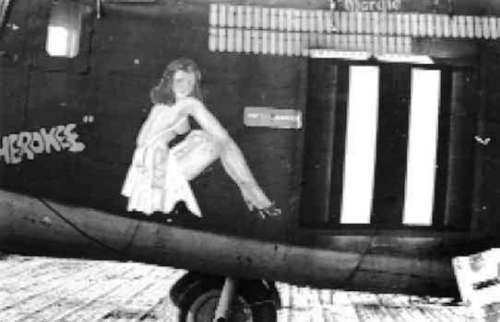 This aircraft was known as Holy Joe while assigned to the Eighth Air Force, but was just Jo while in the 461st. 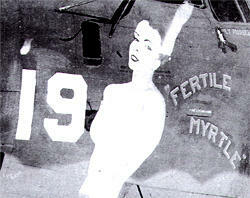 Henry A. Jones - Crew Chief of Myra G. Jones was previously the Crew Chief of ship #9, Evil Weevil. This aircraft was transferred to the 765th Squadron at some point and later crashed on 3/16/1945.